Step 1. 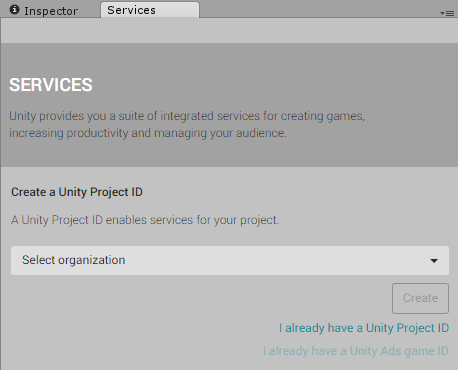 Link your project with a Unity Services Project ID. Open the Services Window by going to Window > Unity Services, or click the cloud button in the toolbar. This offers you the option to create a new Project ID or select an existing one. 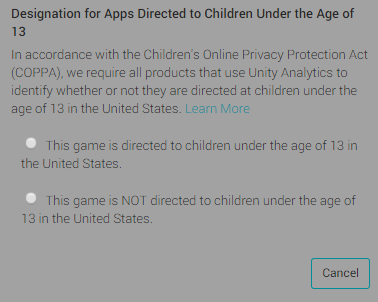 If this is the first time you are connecting your project to Unity Services, you’ll need to create a new Project ID. The organization is typically your company name. The project name for the new Services ID will automatically be taken from the name of the Unity Project you’re currently working on. Names for new Unity Services Project IDs are automatically picked from the project’s name; however, you can change the name later in the Settings section of the Services window. If you have already set up a Unity Services Project ID for this project, simply select the organisation and project name from your list of existing projects. 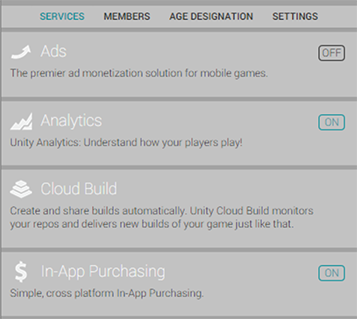 You may have already set up a Unity Services Project ID if you have used one of the other Unity services with this project already, such as Unity Analytics, Multiplayer, Ads, or Cloud Build. In the Services window, select In-App Purchasing. Click the Enable button to enable In-App Purchasing. 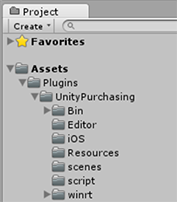 To import the Unity IAP package into your project, click Import. When you import the package, a new folder called Plugins is automatically added to your project. 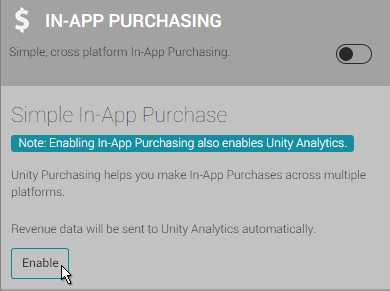 This folder contains UnityPurchasing assets required to use Unity IAP. Click Back to services to review the Services panel. 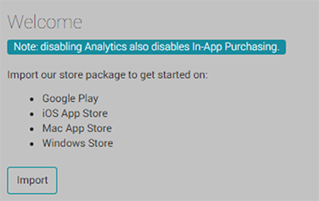 Make sure that that Analytics and In-App Purchasing are both labelled ON as shown below. 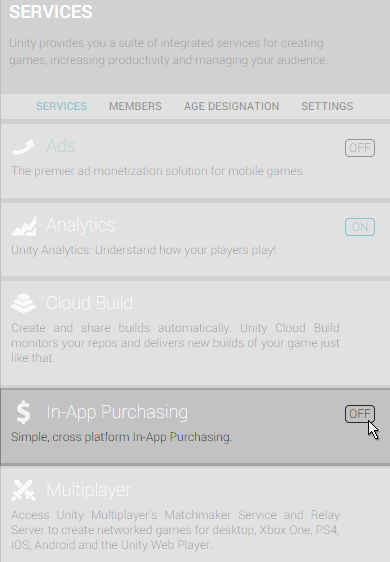 You can now begin implementing Unity In-App Purchases in your project.